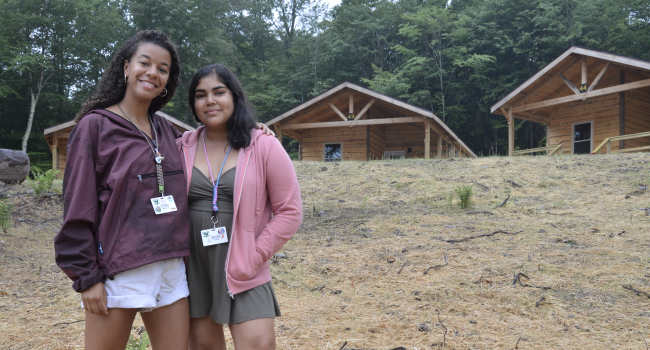 As most Frost Valley folks know, we “retired” the original cabins (built hurriedly in the mid-1960s) situated on what became known as “the Hill.” In early years they were numbered 11 through 20 and housed Sacajewea and Tacoma villages. More recently numbered 41 through 50 and housing Lakota and Susky. Lakota and Susky have a new hill! Further up (across the road from cabins 13-17 and a bit to the east of Kresge Lodge and the hill leading up to the observatory) but actually 200 steps closer to the dining hall. 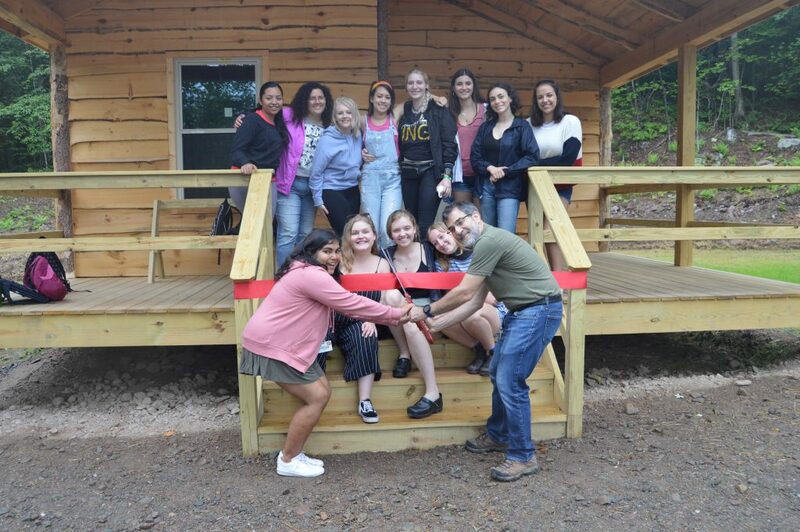 About 60 people gathered to celebrate the newly finished cabins–ten of them. The villages were named and dedicated in honor of Jim Kellogg and Fenn Putman. 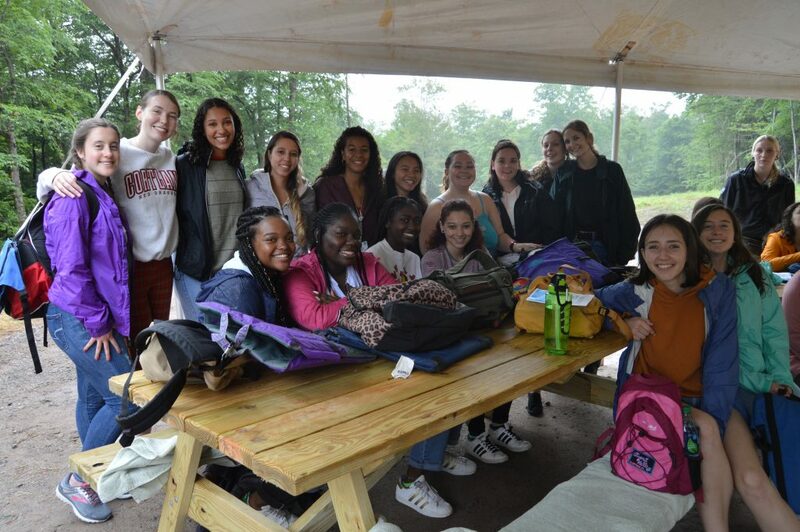 Families and groups of alumni combined their resources and made contributions to enable the construction. 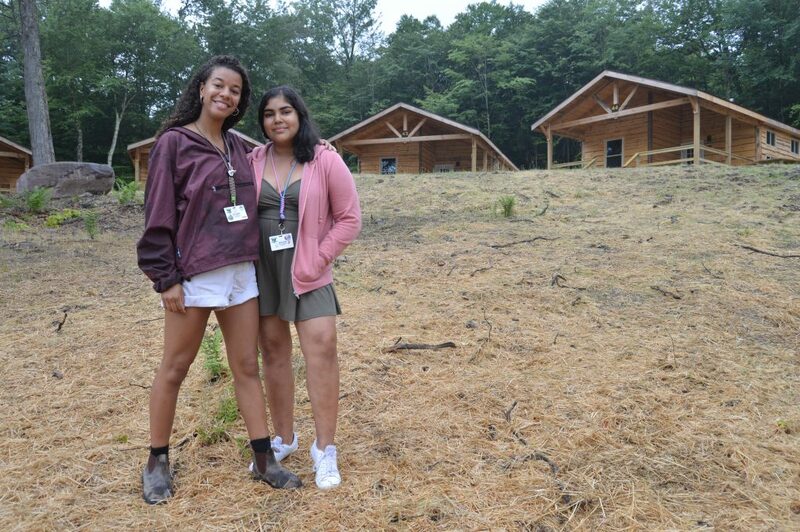 Each cabin is named in honor of these gifts. Each cabin has its own ribbon-cutting ceremony. 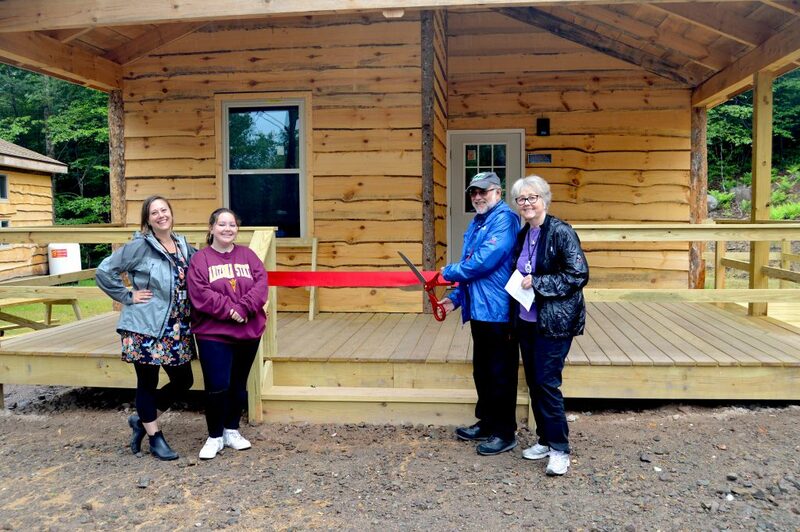 For cabin 43, the entire staff of Lakota village helped cut the ribbon. The Vescio Family donated a cabin. Three generations of FV people. 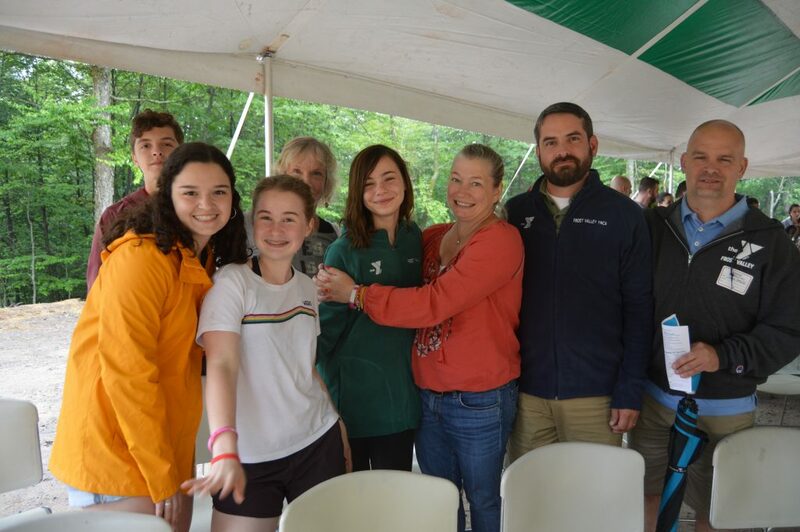 The Putman Family cutting the ribbon on the cabin named for the late Fenn Putman. Proud new owners. 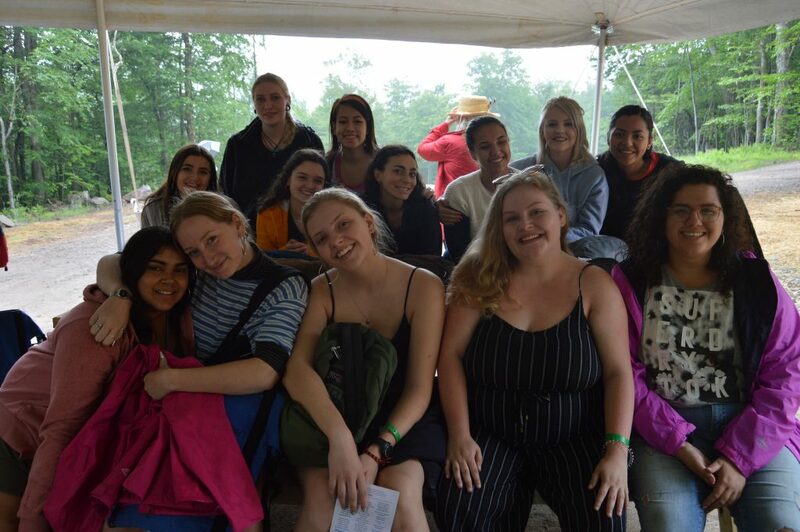 The village chiefs for summer 2018 of Lakota and Susky villages. 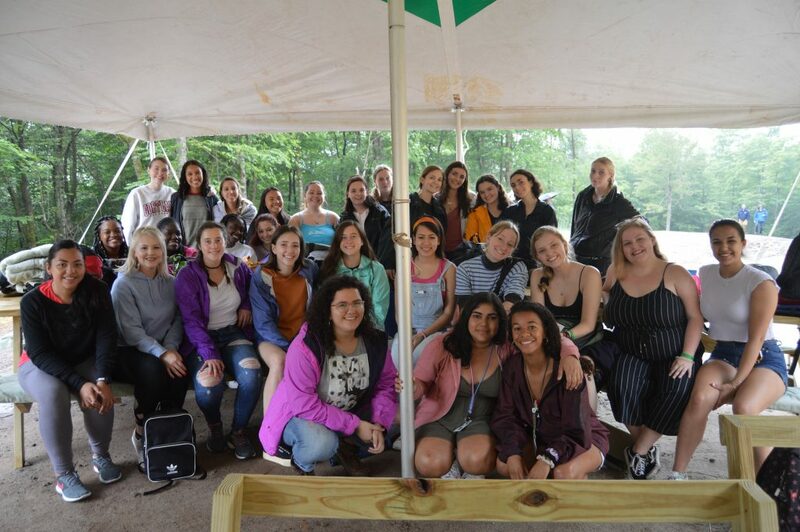 The Kaskel Family donated a cabin! 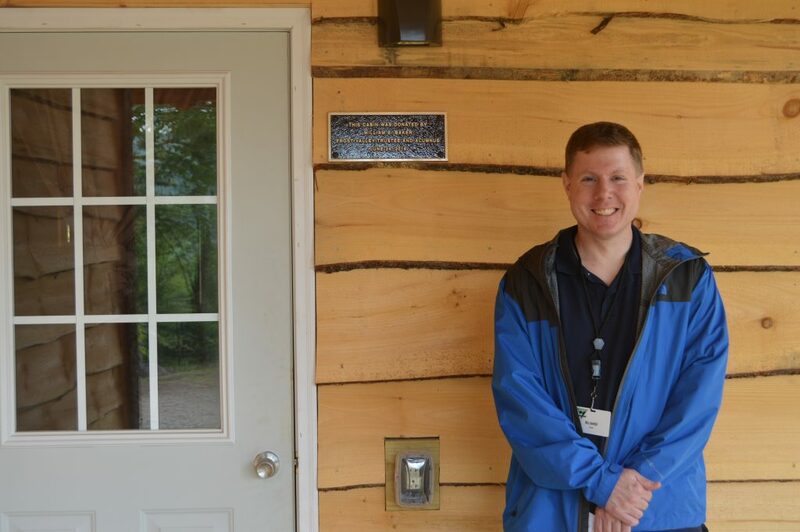 Bill Baker in front of the cabin named in honor of him and his family. 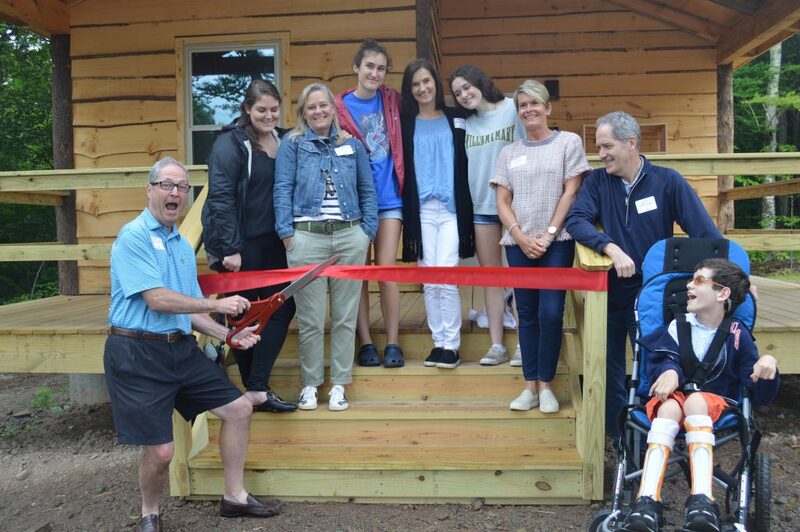 The Filreis Family Cabin, named in memory of Sam Filreis, is dedicated with the entire staff of Lakota summer ’18.